At Shining Diamonds, we invest all our energy in helping you make the most romantic gesture between you and your partner. 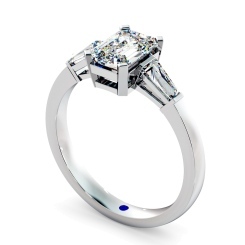 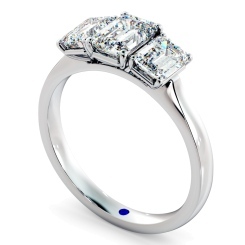 With a trilogy diamond engagement ring, you know you’re on the right track to making quite an impression. Choose from a selection of diamond cut such as princess, emerald, pear, heart and round to make a truly personalised trilogy diamond engagement ring. The history of the diamond engagement goes back to the 15th century, though the history of the engagement ring or band goes back much further. In Ancient Britain, lengths of strong or grass used to be wrapped around wrists, waists and ankles of brides to symbolised to unison of two souls. 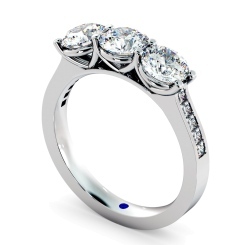 Ancient Greeks gave us the word for diamond, which is derived from the Greek word for eternity, a true symbol of romance by anyone’s luxurious standards. 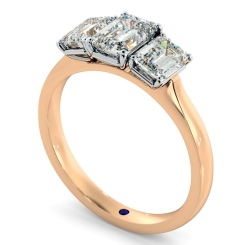 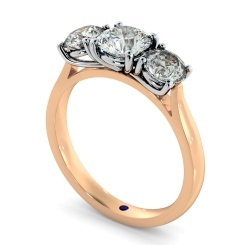 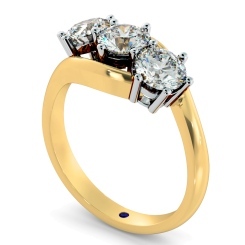 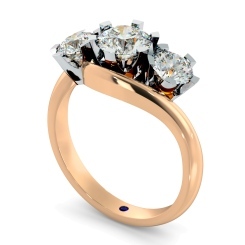 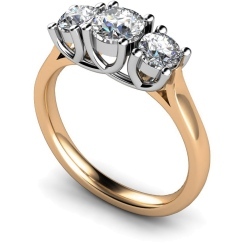 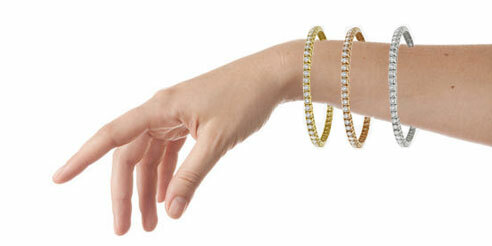 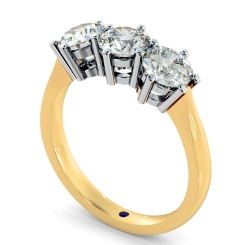 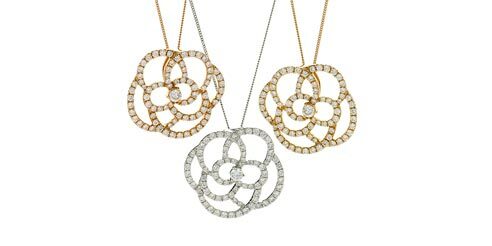 With Shining Diamonds, you can be rest assured that we’ve got your best interests at heart. All our diamonds are certified non-conflict and come with lifetime guarantees. 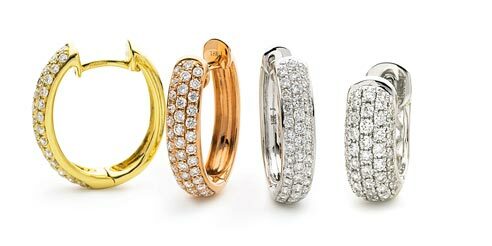 All rings all hand made in Britain and once you’ve chosen your favourite assortment of trilogy diamonds then you can pair these with a choice of 18ct yellow gold, 18ct white gold or platinum rings. 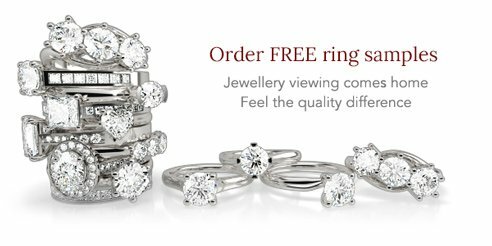 If you have any questions or would like to discuss anything about our diamonds or about your order, then please feel free to contact us and one of our friendly staff will happily help you. Alternately you can visit us in our Hatton Garden office situated right in the heart of London’s most famous jewellery district.